This will prevent Linda from sending you messages, friend request or from viewing your profile. They will not be notified. Comments on discussion boards from them will be hidden by default. Sign in to Goodreads to learn more about Linda.
" Hello, I'm Linda--author, blogger, aspiring watercolorist, and reader. My romantic suspense novel Dreaming of Laughing Hawk is available on Amazon (wa Hello, I'm Linda--author, blogger, aspiring watercolorist, and reader. My romantic suspense novel Dreaming of Laughing Hawk is available on Amazon (watch for the Dec. 8-10 KDP countdown promo to get a reduced price). I also invite you to my blog, http://www.scheherazade-thewritinglif... Drop by and share your thoughts about short stories, movie reviews, and other topics. ...more "
" Get a discounted ebook for Dreaming of Laughing Hawk by Linda Katmarian. http://www.amazon.com/Dreaming-of-Lau... "
" I'd like to have more reviews for DREAMING OF LAUGHING HAWK (romantic suspense/new adult). 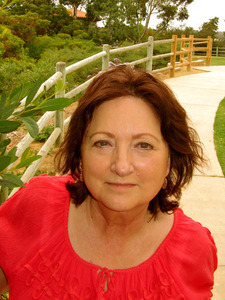 You can find it at http://www.amazon.com/Dreaming-of-Lau... "
Take a look at Linda’s Year in Books. The good, the bad, the long, the short—it’s all here.